“Cook Like a Pro” is not a conventional cookery course where you watch, listen and then try out a recipe yourself. It’s a completely individual experience for one person! 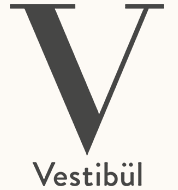 You will spend a day in the Vestibül kitchen, in the thick of the action. From mise en place in the morning, through the busy lunchtime period, then the preparations for the evening and the evening shift itself. Get a behind-the-scenes view of the workings of a real restaurant, which are usually kept hidden from guests. Have a go yourself and be part of the kitchen team – no restrictions! Also available as a gift voucher.